A wonderful Classic Danish Oil with a rich, durable finish, for interior ceilings, panelling and joinery. A velvet patina, oil wax impregnation with high resilience and ease of application. 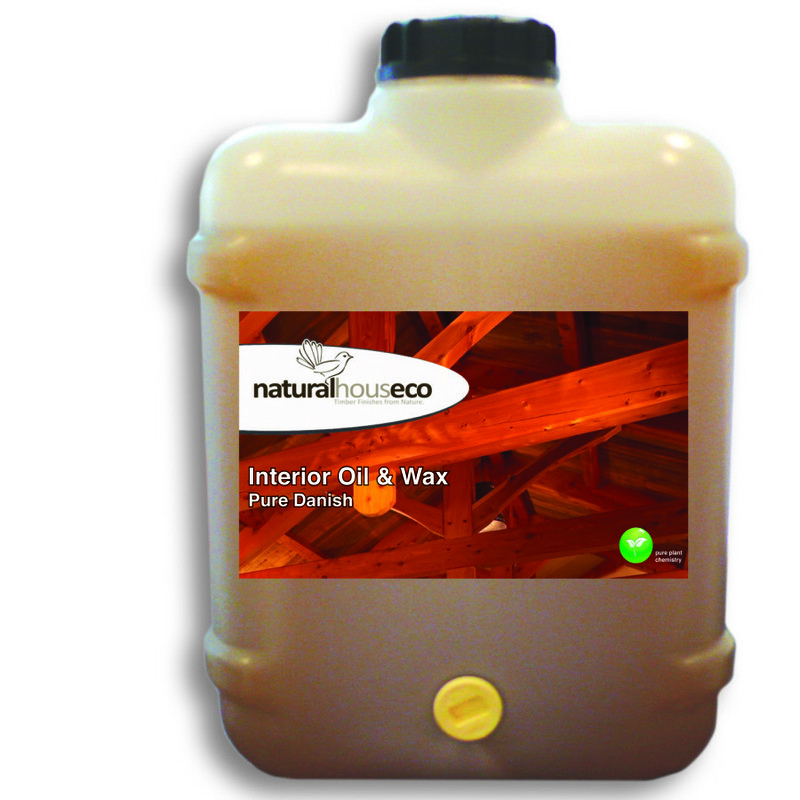 Interior Oil & Wax penetrates deeply into the grain, strengthening timber from within. The blend of tree resin and plant oils ensures a robust finish while the canauba, beeswax emulsion gives a silken lustre to the surface. Interior Oil & Wax is a great pleasure to apply and wonderfully tactile to the touch. Great for bread boards and children’s toys. Available in 'White Foundation' to keep timbers looking lighter ... a more 'Scandanavian' feel. Made in NZ with passion. To purchase simply choose a size below and the Add to Cart button will appear! 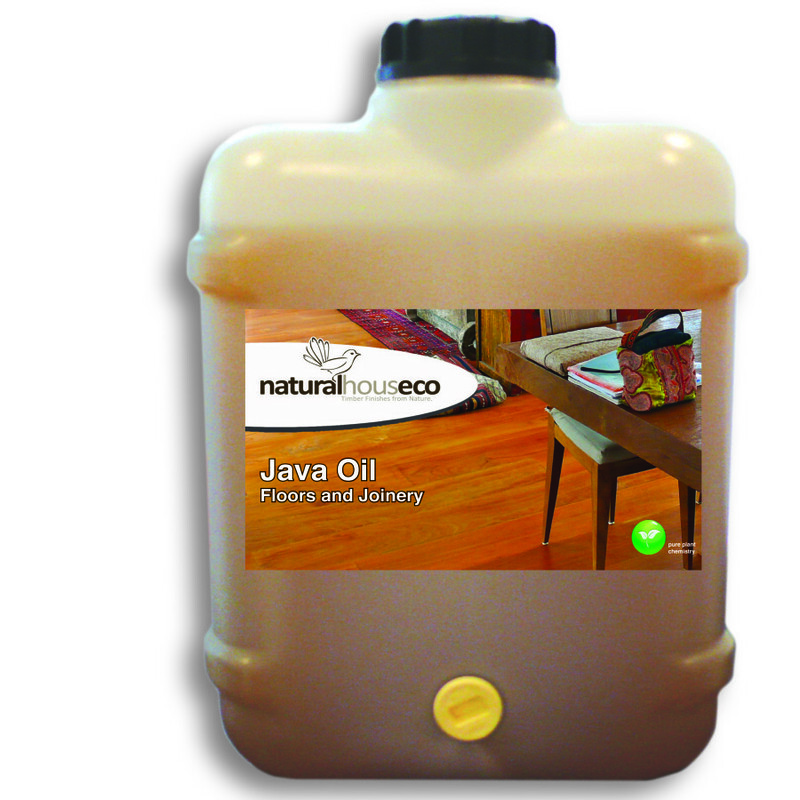 Java has been our biggest selling oil since the year dot, with countless of you choosing it time and time again. 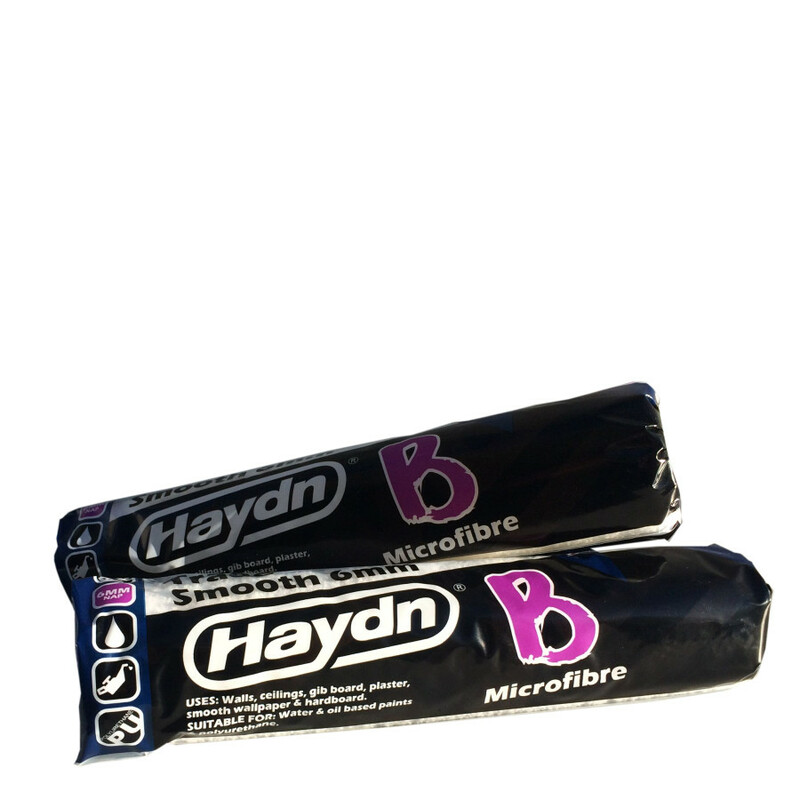 A superb, hard wearing traditional finish for medium and hardwood timber floors and joinery. A velvet finish with an orange aroma, fully maintainable for the life of the floor. Java resin oil penetrates deeply into the grain, strengthening timber from within. To purchase simply choose a size below and the Add to Cart button will appear! We are thrilled to introduce our Java High Solid Finish. 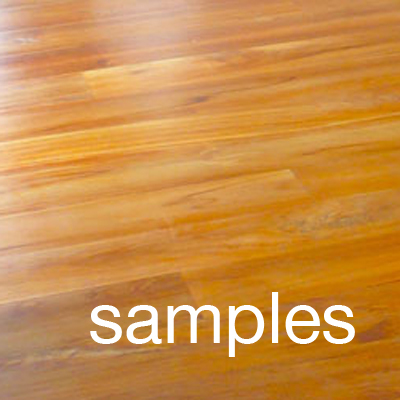 A New Zealand made, extremely concentrated, grain fill, slip resistant floor and joinery finish. A durable rich satin finish made from plant oils, tree resins and waxes, Java High Solid is an easy to apply two to three coat system. With double the spread rate of normal oils this finish is excellent value. Also available in 'White Foundation' to keep timbers looking lighter ... a more 'Scandanavian' feel. To purchase simply choose a size below and the Add to Cart button will appear! 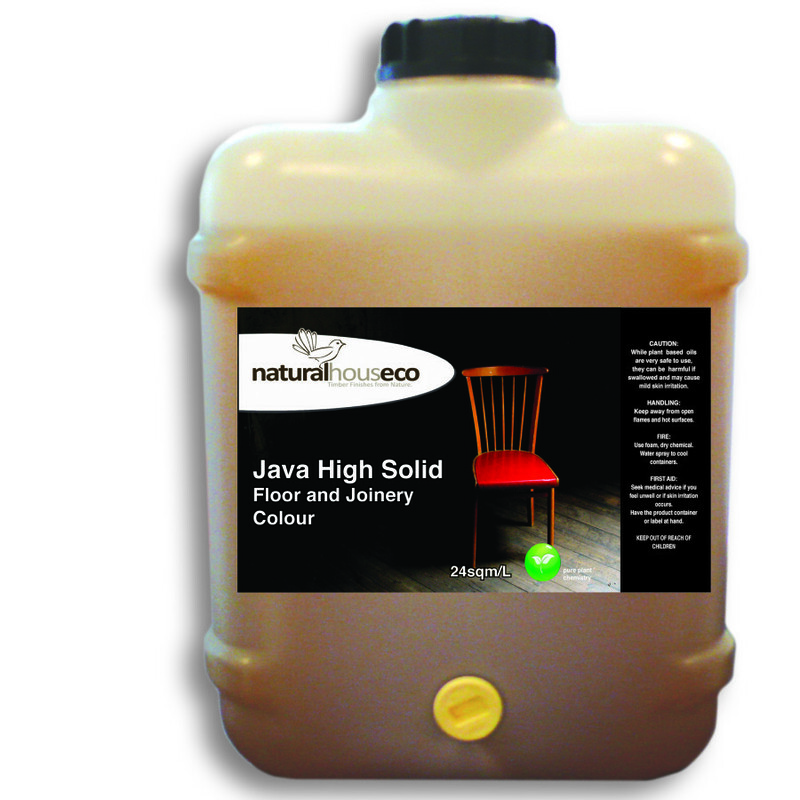 Java High Solid is a natural, semi transparent, deep coloured grain fill hard oil. It is a high solid oil and wax combination made with a high concentration of artist quality, UV stable micro earthen pigments. JHS is used for colouring timber and cork floors, as well as furniture, joinery and interior paneling. Also used for children's toys. Suitable timbers include Pine, Rimu, Kauri, Macrocarpa, Beech, Oak, and Douglas Fir (Oregon). 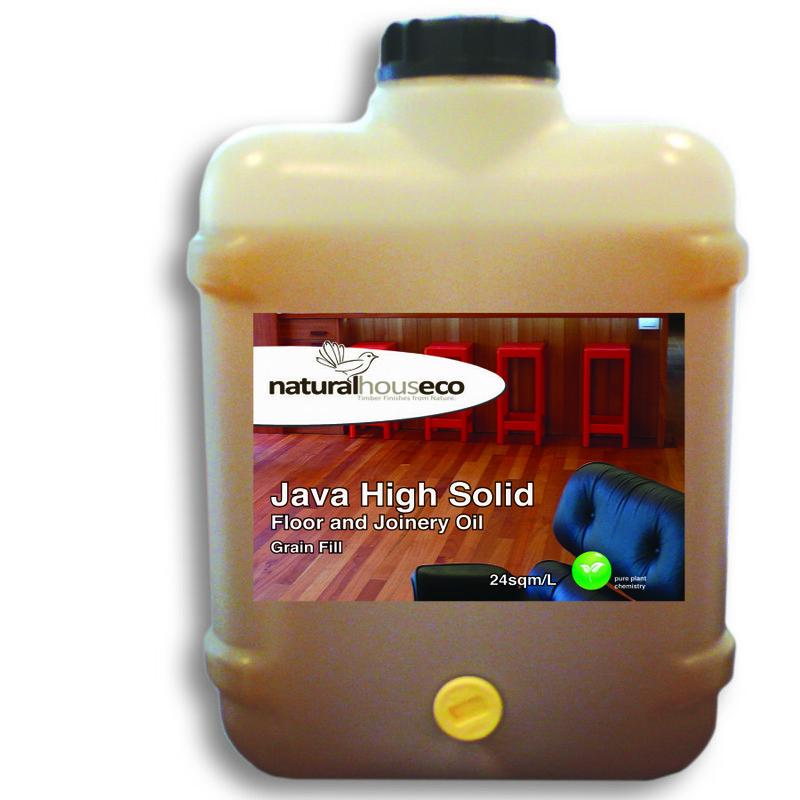 Java High Solid is not recommended for use on dense hardwoods or timbers with a high oil and resin content such as Kwila or Totara. Java High Solid has an extremely high spread rate of 24 sqm/L. One 4L container will colour a floor up to 100 sqm. To purchase simply choose a size below and the Add to Cart button will appear! Osmo Hardwax Oil is a natural alternative to polyurethane floor coatings. A durable satin finish made from plant oils and waxes, Hardwax Oil is a two to three coat system. Almost odourless and safe for man, animal and plant when dry. 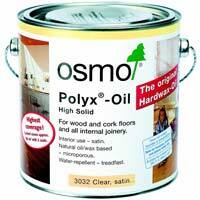 Osmo Hardwax Oil penetrates into solid timber, parquet, particle board and cork, filling the substrate to the surface. It enhances the beauty of timber with minimal darkening. Imported from Germany, Hardwax Oil performs well on most New Zealand timbers, it is a high solid, concentrated product with good coverage, making it economical to use. Osmo Polyx Oil is imported from Germany and provides an attractive, 'grain fill' finish, similar to our NZ made Java High Solid To purchase simply choose a size below and the Add to Cart button will appear! Description: Polyx Oil is available in 2 types - Normal or Rapid. Normal Polyx Oil would generally be used during the warmer months. The Rapid Polyx Oil is recommended when curing time may be an issue due to colder conditions. The Rapid Polyx Oil will cure faster, with 2 coats often able to be applied on the same day. Not recommended for summer conditions as the product dries too quickly on the brush. The finish for both products is identical. Osmo Polyx Oil is imported from Germany and provides an attractive, 'grain fill' finish, similar to our NZ made Java High Solid To purchase simply choose a size below and the Add to Cart button will appear! A marine grade interior, exterior, high gloss, resin based varnish developed for timber floors and joinery. Can be brushed to a superb lacquer finish. 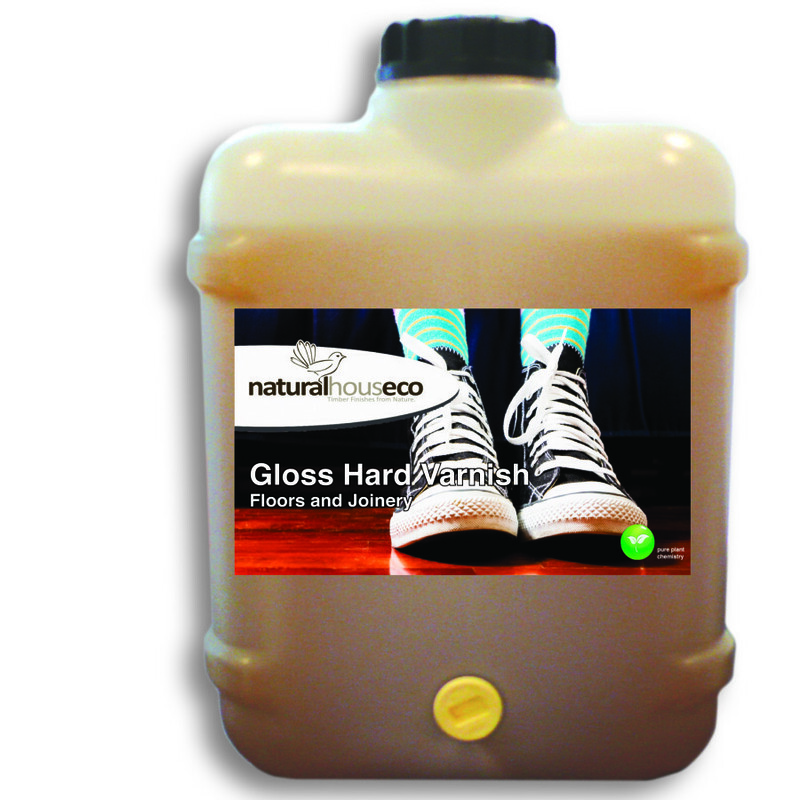 Classic Hard Varnish is ideal where a traditional high gloss finish is desired. Being a marine grade product it is extremely durable, making the varnish very suited to wet environments like bathrooms and kitchens. Many contemporary and traditional homes complement a Gloss Varnish, careful brushwork and fine sanding between coats can build a wonderful reflective finish. To purchase simply choose a size below and the Add to Cart button will appear! Our premium Danish Oil with a rich, water resistant finish, for fine furniture, woodcraft, musical instruments and joinery. A velvet patina, oil wax impregnation with high resilience and ease of application. Resin Oil & Wax penetrates deeply into the grain, strengthening timber from within. The blend of tree resin and plant oils is based on our renown Java Oil ensuring a robust finish with silken lustre. 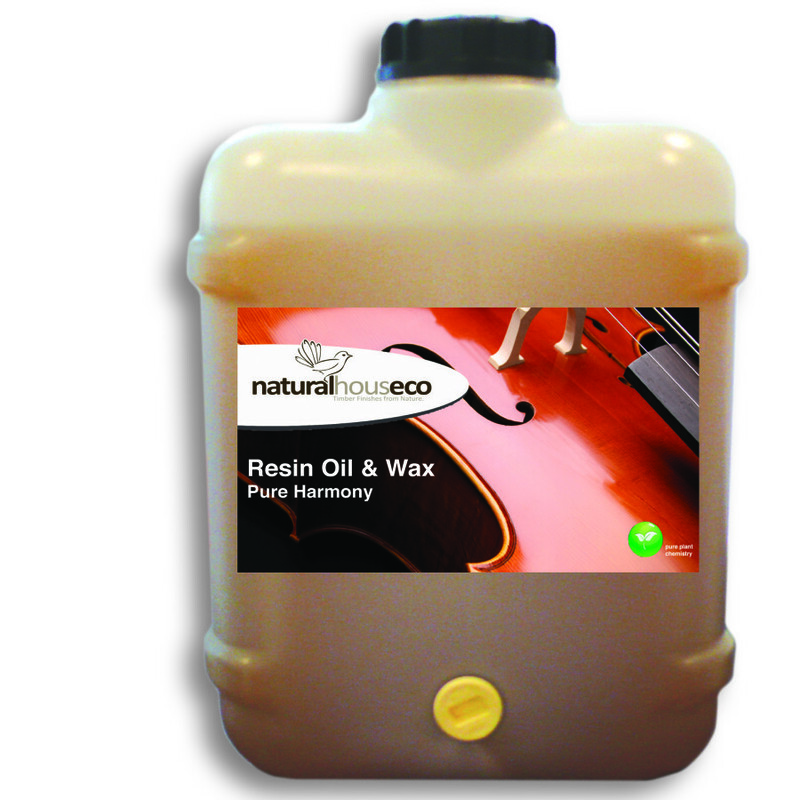 Resin Oil & Wax is a great pleasure to apply and wonderfully tactile to the touch. To purchase simply choose a size below and the Add to Cart button will appear! A rejuvenating maintenance system for oiled timber, cork, concrete and slate floors; furniture and joinery. This product will clean, protect and improve the surface. 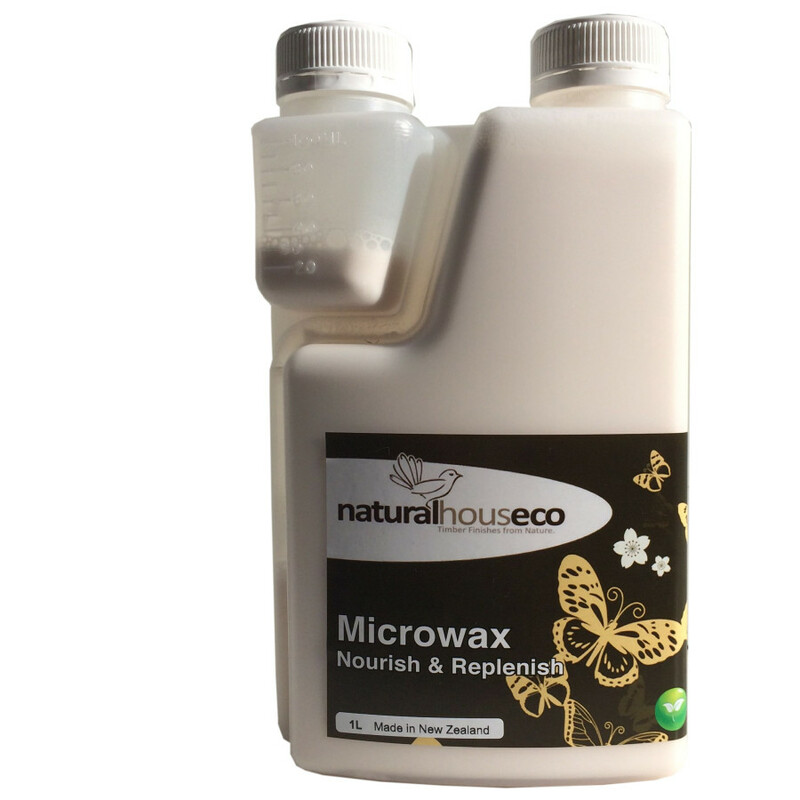 Classic Microwax is made from carnauba wax, emulsified in purified water with essential oils, it dries to an extremely hard and durable finish. The secret of this formulation is the tiny molecular size of the wax, enabling constant use without creating a film or build up on the surface of the timber. An easy to apply liquid which can also be buffed undiluted onto an oiled floor or bench to provide a rich patina. Most importantly, floors finished with Java Resin Oil or Osmo Polyx Oil should be damp mopped weekly using 3 capfuls of Microwax in your wash water, to maintain and improve the surface. To purchase simply choose a size below and the Add to Cart button will appear! 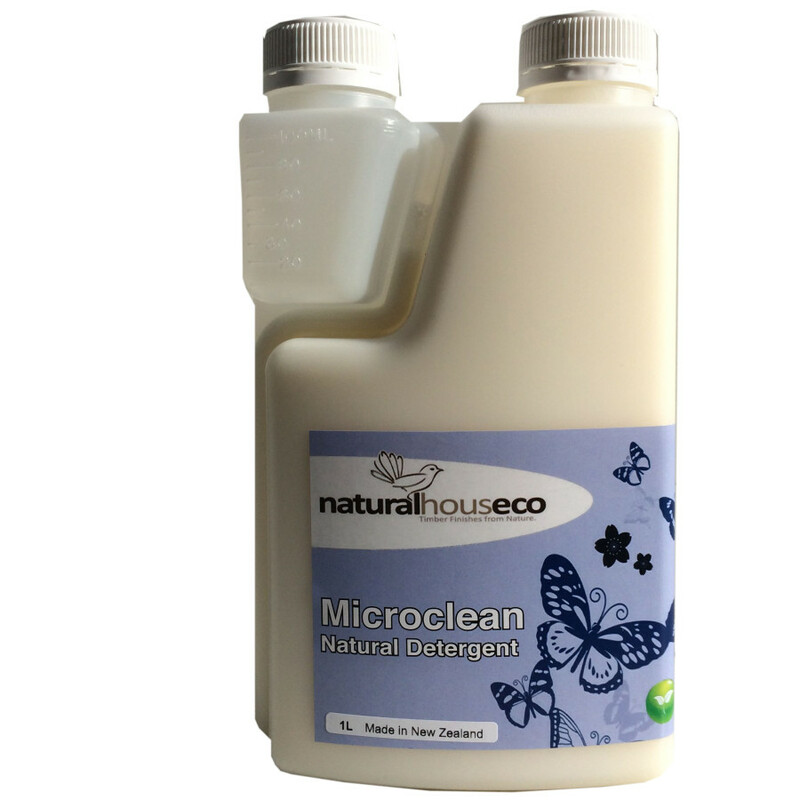 A rejuvenating cleaning surfactant specially formulated for timber, cork, terracotta, concrete and slate floors. A powerful blend of safe plant surfactants with added micro porcelain to help ensure a clean, non slip surface. Use in conjunction with Microwax. Most importantly, floors finished with Java Resin Oil, Java High Solid or Osmo Polyx Oil should be damp mopped weekly using 3 capfuls of Microclean and 3 capfuls of Microwax in your wash water, to maintain and improve the surface. To purchase simply choose a size below and the Add to Cart button will appear! Sample in 30ml size Order the sample you want from the drop down list. If you want more that one, add to cart and choose another.